Where no collector has dared to go out on the fringe of the hobby. 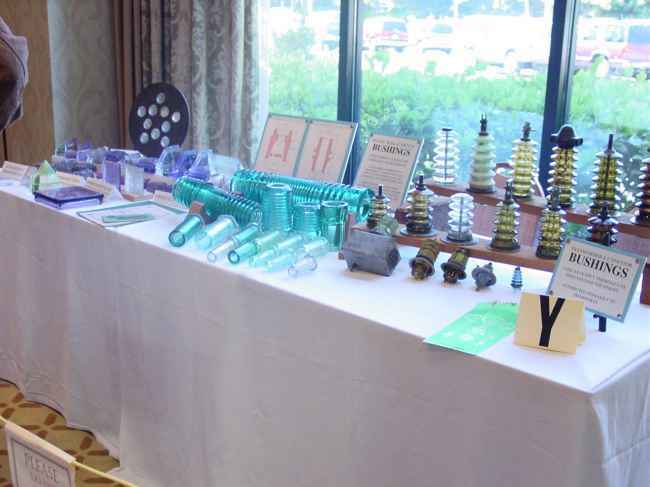 Nor-Cal regulars: Ian Macky, Paul Greaves & Shirley Patocka put together this interesting display of bushing insulators, sidewalk prisms and vault lights. Ian has also been doing extensive research in this undocumented area of sidewalk glass. If you got anything interesting in this area, let these ICON guys know.